Finally! 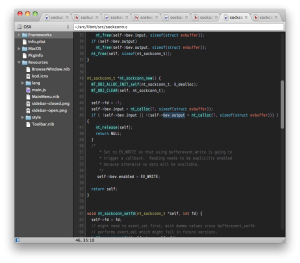 A great text editor for OS X! TextMate was a good start, but had several quirks and usability issues that grated on me. Maybe it is because I am used to editors on Windows. My favorite editor on the Windows side has been Sublime Text for some time now. 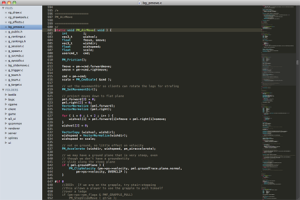 I’ve been keeping up with the latest betas, and now a public alpha version of Sublime Text 2 has been released. I forget, it alpha pre-beta, or is beta pre-alpha? Anyway, it is here and is very full featured. Oh, and did I mention it is now cross platform? Versions for OS X, Linux, and Windows. Yeah! I think it will give TextMate a run for it’s money. Love this editor. And if you are a developer, you can customize it with plugins. Check out Sublime Text 2.